FOOD SAFETY: FROZEN FOOD- WHAT YOU NEED TO KNOW? 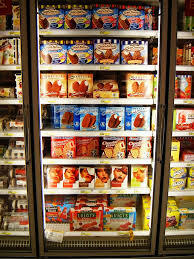 FROZEN FOOD- WHAT YOU NEED TO KNOW? Frozen snacks come as a saviour when it comes to pleasing the palate, but quality and safety are some of the things one should keep in mind while purchasing them, says an expert. Quality: Frozen produce is picked at the peak of its nutrition and flash frozen to maintain the flavours and nutrients. Flash freezing locks in all the product's goodness. Cost-effective: Frozen foods stay fresh for longer because the freezing process suspends enzyme activity that causes the food to rot. Depending on the type of food, you can store it for several months without losing quality, but always check for longevity of your purchase. Convenience: Manufacturers have refined preparation, storage and reheating techniques to create flavourful, gourmet-quality meals and entrees. Frozen meals also expose people to foods they might not otherwise eat, such as ethnic foods with long preparation times, or specialty foods that may be too expensive to obtain fresh. Safety: Freezing suspends microbial and fungal activity in the food. As long as the food remains frozen, it is safe. Frozen ready-to-cook food can be prepared within the hygiene of the house. Add to it your own special touch. Reduce wastage: Frozen food helps reduce food waste as you use only what you need -- which means it's good for your pocket and the environment.